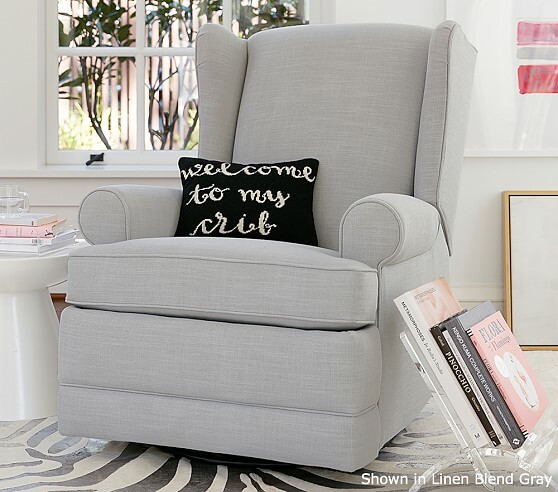 You don’t need pink or blue to create a nursery that shines —check out our favorite neutral looks from buybuyBaby, pottery barn kids, Crate&kids, and Target! If you’re expecting, chances are you’re eagerly anticipating the ultrasound that reveals whether you’re having a little boy or girl (unless you’re part of the throwback trend I recently wrote about). No matter when your baby’s gender is revealed, the latest trend in nursery décor is to forget the pink and blue, and go for more neutral hues! Why leave the pastels behind? I’ve got a few reasons why! You’ve put so much work into decorating your living area and kitchen—so why would one room of your house become a pink or blue explosion? If you love the minimalist look, don’t feel pressured to create a nursery with a busy theme! There’s no need to shed your taste or change your palette for baby’s room. Keep the flow and design direction going in the nursery, and your home will maintain a sense of cohesive calm. 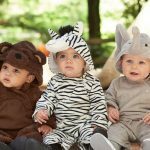 Yes, that darling safari wallpaper or teddy bear mural may seem perfectly fitting for your little bundle of joy now, but before you know it, your newborn will be a toddler with more grown-up interests and taste. 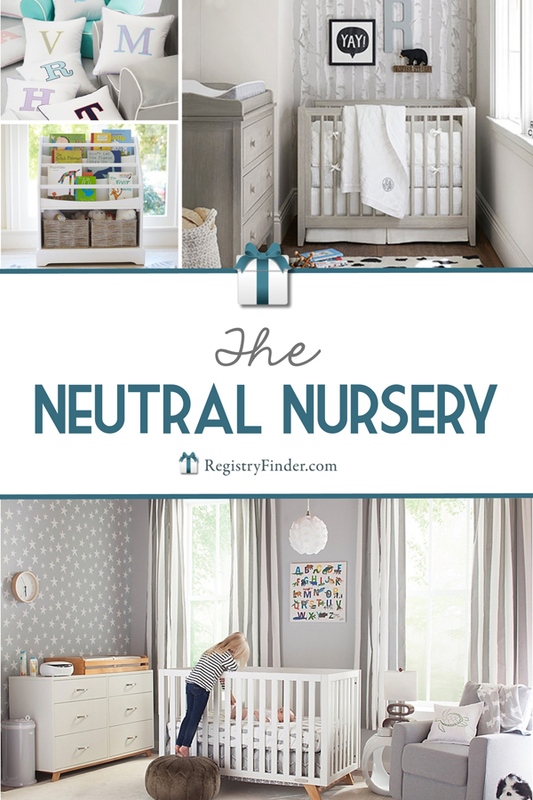 Choosing a neutral palette means that the nursery can easily become a toddler, and even teenage, room! It can be so tempting to order a crib with ornate scrolling and feminine touches for your precious daughter, but if she’s your first, you might consider how you’d feel about placing a newborn son in that piece of furniture in the future. Same goes for other furniture items like dressers, gliders, and pricey bedding sets! Keeping large purchases gender-neutral means they’ll stay relevant no matter how large your family grows! Remember, neutral does not have to equal boring: there are so many ways to add interest to a room with more subdued tones. I absolutely love warming up a room with art—and it doesn’t have to break the bank! Pick up some inexpensive frames that already come with matting inside, and select prints that add a whimsical touch to the room (think baby animals, maps, inspirational quotes, etc.) Art is also an easy and inexpensive way to throw in a touch of pink or blue—you can keep your frames and keep switching out the pieces as your child grows! Crate&kids is one of my go-to stops for inspiration—check out their selection of prints, banners, and more here! 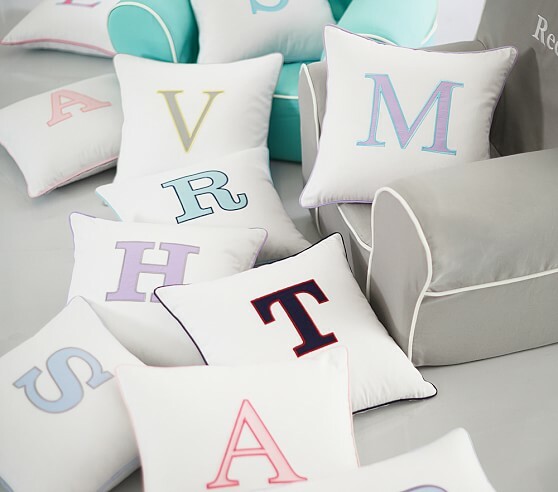 Pillows and throws are another inexpensive and easy way to add both texture and color, and make the room more “girlish” or “boyish.” I love this monogram pillow from Pottery Barn—I ordered one for my daughter when she was born, and it now sits atop her “big-girl” bed! 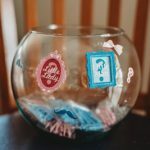 I cannot overemphasize the importance of planning the storage aspect of your nursery! Bookshelves and baskets aren’t just functional; they’re also an opportunity to show off some style! Find a bookshelf that displays the adorable covers of all of those baby books you got at your shower, or fill a shelf with cute storage baskets for easy access to swaddles and stuffed toys (you’ll find that open baskets are easiest to reach into when you’re holding a baby in your arms!) 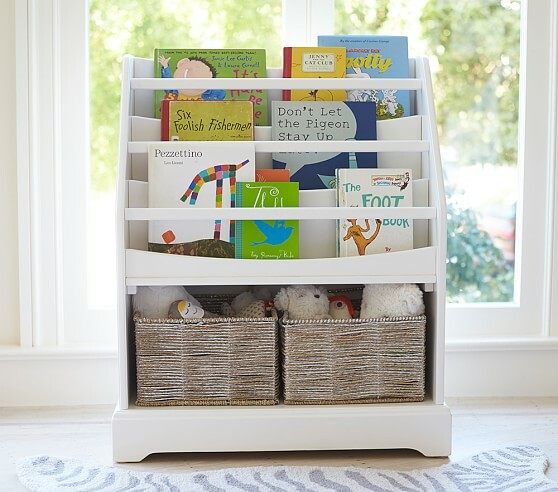 I love how the Madison Standalone Bookcase from pottery barn kids shows off both books and baskets! We can get so preoccupied with making the nursery perfect for the baby that we forget that we moms will spend lots of time in there too—especially if that’s where you’ll be doing most of the feeding. Carve out a corner for yourself—set up a cozy chair (don’t even think about ordering one upholstered in pink or blue—see Reason #3 above), a side table, and a basket filled with a good book (or iPad), a phone charger, granola bars, and mini water bottles. You’ll appreciate having these things on hand once those feeding sessions get going! You don’t need bright colors to create a nursery that shines—less is definitely more when it comes to the neutral nursery trend! 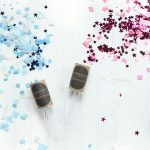 Because we waited to find out our firstborn’s gender, we kept décor neutral too—and I think the soft grays and whites we chose created a sense of calm, plus it allowed me a blank canvas to add a few girly touches. 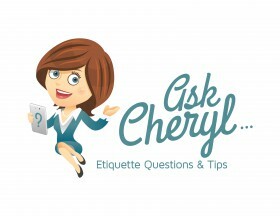 This is one trend I would definitely recommend! 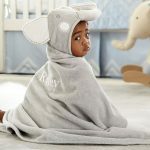 If you’re preparing for a new baby, you’ll want to stick around—the RegistryFinder blog is filled with helpful tips on newborn essentials, the latest baby gear, and a few of our favorite personalized baby gifts. We’ve got you covered once baby arrives, too—check out our recent post on 12 Awesome Baby Hacks for New Parents! Disclosure: This post contains affiliate links. The ideas are ours, but we may be compensated if you make a purchase by clicking on one of the links. Thanks for your support! 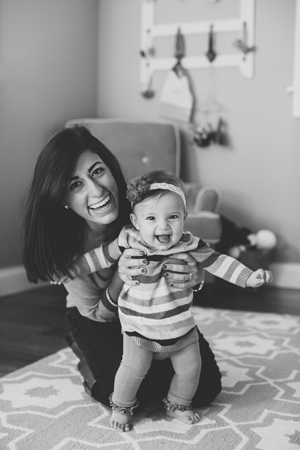 -Written by Christina Peterson, pictured with her daughter Elle in her neutral nursery!